Home/Kids/Sarafans & Costumes/Folk dress ''Anuta'' 6 y.o. 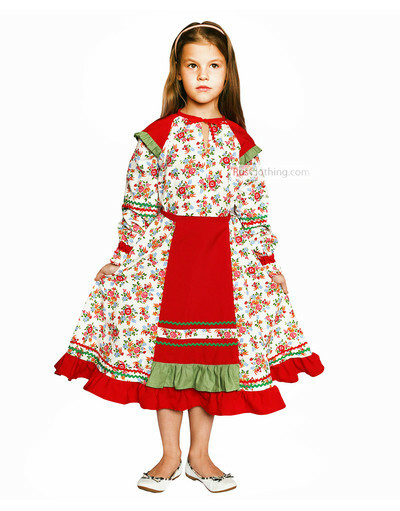 Folk dress ''Anuta'' 6 y.o. 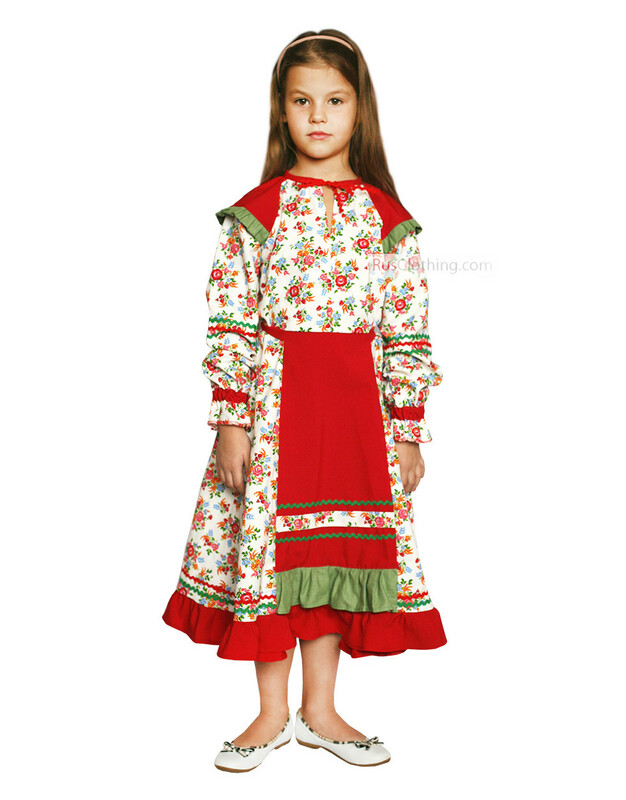 This folk dress is one of the most beautiful and bright in our collection of dance costumes with Russian stylization. 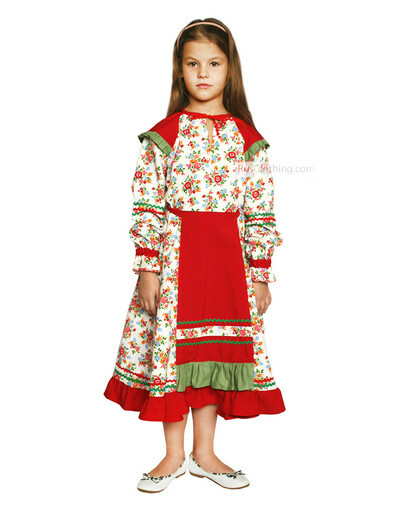 You can wear this lovely dress in a Russian style for any occasion: folk festival, day of Russia, folk dance, theatre play or stage performance. 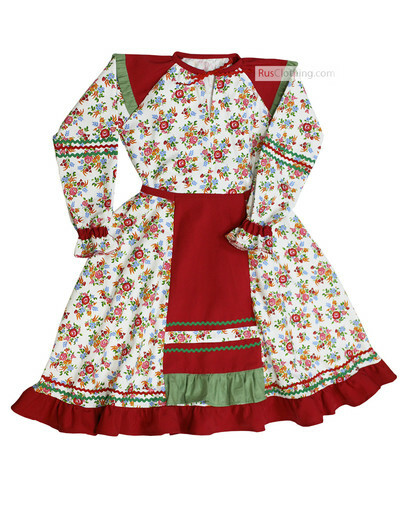 There is a great variety of the traditional folk costumes in our shop, but this one is worth your attention. The distinguishing feature of this Russian clothing is a red apron decorated with a ribbon. The dress was such a big hit!